starstarstarstarstar" Good quality for price. " Fairly easy install. Bushings for the end links are somewhat difficult to press into the links. Ride is much stronger feeling on my 2004 Unlimited which is what I expected. 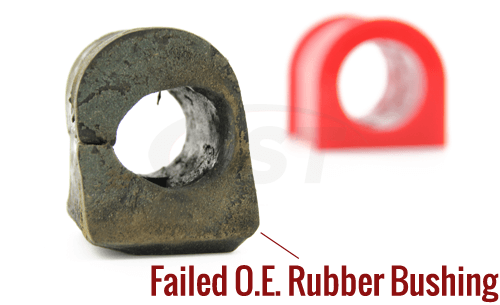 Actually was a replacement of the OEM bushings that came on the vehicle. Easy install. Beats the heck out of the factory equipment. I love being able to grease these bushings. starstarstarstarstar_border" Well designed, easy to grease after they are installed. " First off, I did not use the sway bar end link bushings. I already had moog heavy duty end links installed. 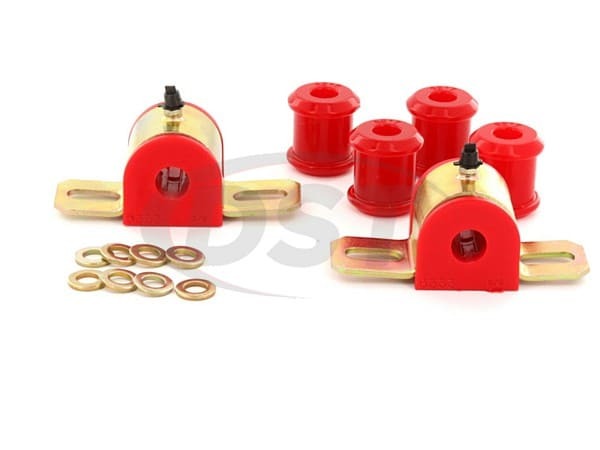 The end link bushings are the same quality as premium moog units so they will be kept as spares. Second, they only took four days to arrive at my home in Regina Saskatchewan, which i was very pleased with. Third, the sway bar bushings are a straight forward install, pre-grease and bolt on. The only thing I�m not fond of the placement of the grease fitting for off-roading, and wish they were more protected and offset to one end. Mainly to keep them protected from debris on gravel roads and off-road. 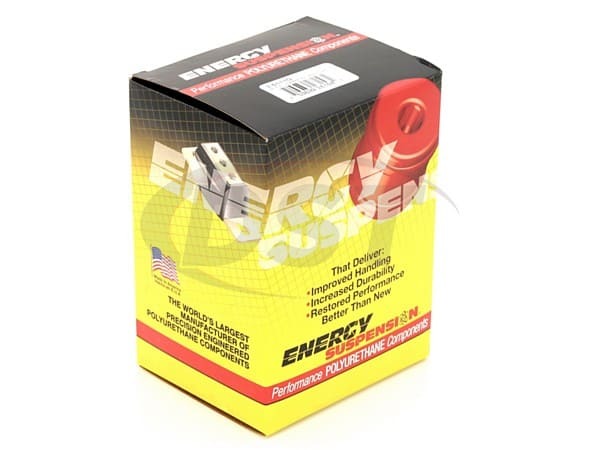 They do have dirt caps preinstalled when they arrived so dirt doesn�t contaminate the grease. They stiffened up the sway noticeably though, making cornering at all speeds smoother and more controlled. Most importantly to my driving, they have not limited suspension flex in anyway at all. Are these bushings supposed to come without inner metal sleeves that the rear bushings come with? 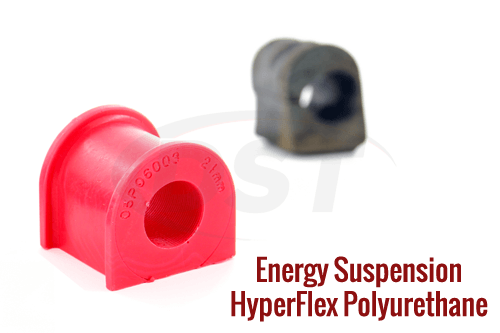 If so, I am assuming the material is strong enough to handle the rear sway bar stress but that the washers that are supplied must be used. No, part number 2.5111 does not come with the new inner sleeves. You will need to reuse the oe parts. 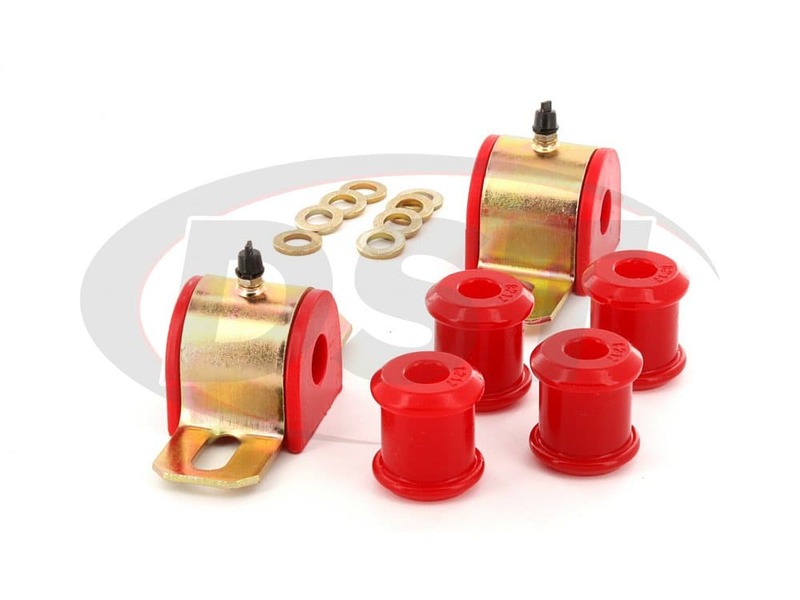 Do the drop link bushings in the kit 2.511 need an inner sleeve? Yes, they do. When installing parts you will need to reuse your original inner sleeves. Is this made of Poly? Yes part number 2.5111 is made our of polyurethane. 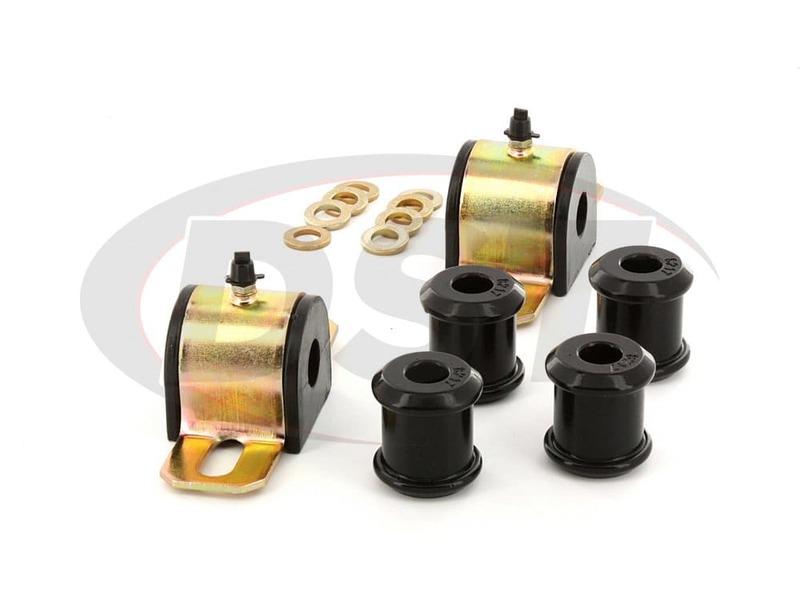 Is part number 2.5111 supposed to come with the end link bushings like shown in the picture? 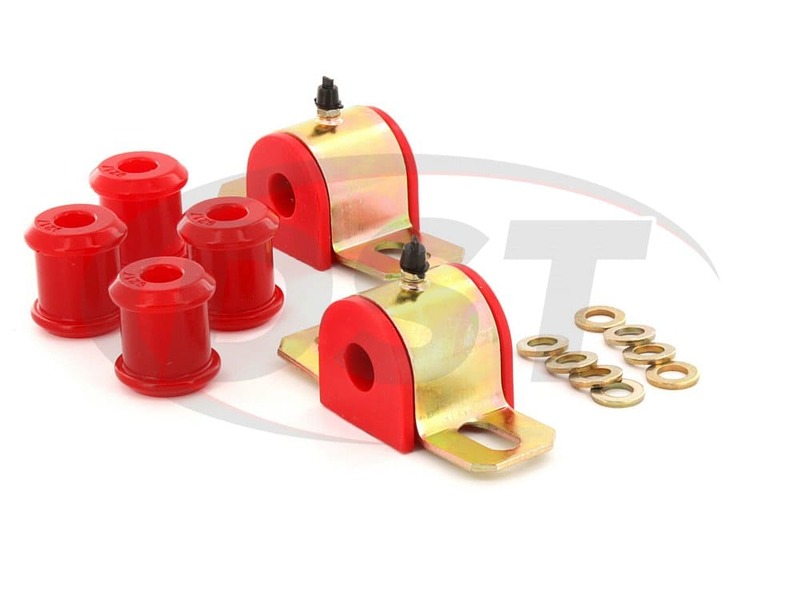 Yes, part number 2.5111 will come with the end link bushings like shown in the picture.